Lappset Group will be the first playground equipment supplier to integrate mobile games into its products. Mobile games will increase the popularity of playgrounds, making them appeal to older children and especially those approaching their teens. 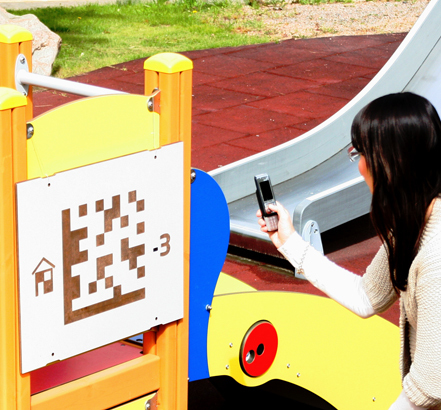 Mobile games will be introduced to Lappsets playground equipment in a cost-effective manner in 2010. This innovation will considerably boost the competitiveness of its products and strengthen the companys image as an integrator of play and technology. Lappset Group Ltd is one of Europes leading suppliers of playground equipment and a technological pioneer in the industry. The companys interactive SmartUs concept was launched in 2006, and it remains the only play-based outdoor learning environment on the market. The SmartUs concept is built on information technology that identifies users on the basis of a gamer card with RFID identification technology. SmartUs users also have their own online community. The Lappset Mobile Playground concept will be promoted alongside SmartUs, offering customers and users a new way to play outdoors. The first games will be smart sports games, memory and mathematics games and quiz games. The mobile application can also be used to develop fitness and exercise route services, which appeal to grown-ups and the elderly.